Hair oil is the latest novelty in hair care products. Hair oils are increasingly gaining popularity in a woman’s “Hair routine” as they have been designed for multiple uses. They can be used as a leave-on conditioner, static controller or heat protector. They soothe and hydrate dry hair. They can also improve the look of hair by camouflaging split ends, reducing frizziness and polishing and reviving dull hair texture. It is no wonder then why women usually become inseparable with oil products after their first trial. Until now serums used to draw all the attention. However, oils came to the game determined to win. To help you with your choice it would be best for you Ladies to be informed of the differences in the benefits each one offers. What most ladies know about serum is that it is a hair care solution which makes the hair shiny, less frizzy, and prevents tangling. It is also known for protecting the hair from damage caused by forceful brushing, use of chemical treatments, prolonged exposure in the sun and last but not least, the effects of heated styling equipment. A little bottle of serum is present in almost every woman’s bag. Why? Because my Ladies, you trust the benefits of it. But have you ever really wondered for a second how serum works? Well, it seems to me that a good way to describe it is that serum is like a “Botox” for the hair. Serums most of the times are silicon based; an ingredient that contributes to the treatment and sealing of the hair cuticles (the outer layer of the hair shaft). Thus, due to the well-conditioned cuticles, the hair reflects more light and shine within only seconds, plus it looks healthier and can be impressively more manageable. On the contrary, oils approach hair in a totally different way. Whether Argan, Diamond, Almond or Macadamia, oil has a totally different molecular composition than serum. Some oils include silicone in their ingredients while some others don’t. In both cases, their unique, high-tech formula makes them lighter and thus more easy to get absorbed by the inner layers of the hair. 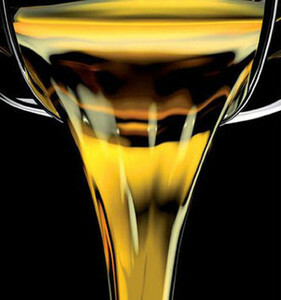 Therefore, oils can reconstruct and at the same time protect the hair with more lasting results. Oils’ clever consistency will not weigh down your hair if that’s something that you don’t wish to have. Some brands even offer a range of oils to suit different hair types, from thin and sensitive up to coloured or damaged. Yes, oils are lighter products in terms of their formula, but this doesn’t mean in any way that you should use the whole bottle at once! Here applies the rule “Less is More”! For shoulder length hair, place a couple of drops in your palms, rub it swiftly and apply the product on your hair evenly, starting from the mid length towards the ends. You can use oil on very damp hair as a pre-styler treatment for protection or on dry hair after you have finished with styling to add some more shine and polished texture. Oils and serums are not products to be used for any treatment of scalp disorder. 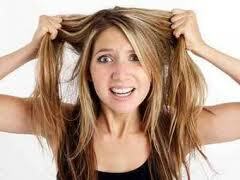 While applying oil try to refrain from going close to the scalp. Exception to this rule is when the product you use is also suitable for scalp application and your scalp is dry and in need of treatment. The risk with the oil though is that if you go overboard on application, your hair might look a bit greasy or flatter than what you ‘d like. Now, imagine getting ready for an important date and in your effort to slightly alter the hair texture or to add more shine for a fabulous look, you empty half of the bottle on your hair. Unfortunately by the time you realize it, price charming is already ringing the doorbell! No worries my Ladies! There are various hair powder products that can be real life savers in such moments of despair. Just spread some powder over the head and let it do the job. The powder will float down on the hair and the hair will fluff up again!